This month I’m delighted to speak to two of my favourite crime writers. One, a legend, who along with Agatha Christie, formed my earliest inspirations to read and then go on to write crime thrillers. 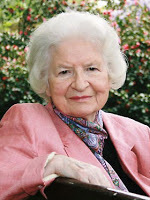 We’re thrilled to have a short Q&A with Baroness James of Holland Park – better known as PD James. And secondly, a crime writer whose novels I only discovered earlier this year. Peter May. I’ve now read two books from his Lewis Trilogy, both of which had me completely hooked. I’m thrilled to have discovered such a new talent to add to my bookshelf. So, firstly, PD James. A writer who needs no introduction. But for those of you who aren’t avid crime readers, a writer first published in 1962, introducing investigator and poet, Adam Dalgliesh of New Scotland Yard. She has gone on win a plethora of awards and accolades and published over twenty novels featuring Dalgliesh, and her other protagonist, Cordelia Gray. Many of her works have also been developed for television and film. The most famous being the Hollywood blockbuster, Children of Men, in 2006.
was eventually adapted into a thirteen-part television series, which took the author into a lengthy career as a script writer. He has now published five standalone novels, plus three successful crime series: China Thrillers, The Enzo Files and The Lewis Trilogy. Despite his prolific resume, Peter knows all about the hardship of writing and the difficulties faced as an unknown author trying to break through into the publishing world. Here he talks about location, research, his plans for the future and his unusual path to publication. For me every story starts with the characters. The plot grows and develops according to what affects these characters and how they in turn affect everyone and everything around them. Obviously relationships between characters are important, but the world which they inhabit is central to who they are and how they behave. The location, the weather, the culture and way of life all have a bearing on the people and the story so the setting is always centre stage for me. My next book takes place partly on the Isle of Lewis and partly in Quebec's Magdalen Islands in the Gulf of St Lawrence. Although there are certain similarities about island life, the two locations are very different culturally. I've written books set in China, France, the USA, and even in the online virtual world of Second Life! Characters are like people. You meet them, you make assumptions about them, sometimes you're proved right, sometimes they prove you wrong. Gradually you get to know them better and often they surprise you. I have sometimes been criticised for writing characters "warts and all" - some readers get annoyed if the hero has flaws. They want the good guys to be all good and the bad guys to be bad. To me the characters are human beings. Heroes have flaws and even the bad guys sometimes have a redeeming feature. During my research, I spend a lot of time living with the characters in my head and getting to know them. I think your writing has wonderful visual qualities, after the success of Ann Cleeves' location-themed novels recently, are there are plans to commission any of your series for television? There has been television and film interest in the Lewis Trilogy. Also one of the China Thrillers is shortly to be made into a movie. In both The Blackhouse and The Lewis Man, a central theme is loss of memory (through trauma or dementia). It feels as if it runs a lot deeper than just a clever way of telling a story. What draws you to characters who have lost a part of their lives? The Lewis Man was based on my personal experience of caring for my father in the last years of his life. He suffered from dementia and I watched as it robbed him of his ability to express himself and to fully comprehend what was going on around him. What struck me was that he often had very lucid recollections of events from the past. As for Fin, in common with many people who have had painful experiences, he hides his memories away - it's the only way that he could find to cope and survive. The real theme of the books is how we are shaped by the past. Every choice, every decision, right or wrong, leads us to where we are today. I think the only way that we can make sense of the present is by examining the past, but that is not so easy if memories are fractured or lost. In The Lewis Man in particular there is a tremendous assurance in the way you unroll two halves of the story and begin to weave them together. How do you manage juggling the two threads? Did you write (or at least plan out) the 'memory' element of the story first? Was it any easier telling a story this way second time round? As I mentioned earlier, plot and structure are very important to me. Once I have let the creative process have free rein and poured out the story - or stories - that I want to tell in the book, I work hard on getting the structure right to try to ensure that it all holds together. It was important that the past and present story strands crossed back and forth at the right moments. You had an unusual path to publication with the Lewis trilogy - turned down by British publishing houses, published first in translation in France and hailed there as a masterpiece before finally being picked up in English. Why do you think the French were more receptive? And why did it take the French public to tell the British publishing industry just how good these were? There are two things that explain it, really. Firstly, and most importantly, the French do not divide books into pigeon holes labelled "Literature" or "Crime". Yes, they have crime books, and crime writing festivals, but they don't exclude crime books from the category of literature. The French have books known as romans noirs, or "dark novels". And the Lewis Trilogy falls into that category. 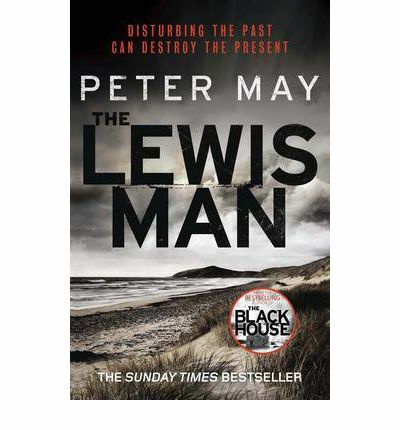 The Blackhouse and The Lewis Man won the Prix des Lecteurs at Le Havre's Les Ancres Noires Crime writing festival in 2010 and 2012; but The Blackhouse also won the Cezam Prix Litteraire, France's largest adjudicated readers' prize for literature in 2011 and The Lewis Man won the French newspaper le Télégramme's 10,000 euro readers' prize for their favourite book of 2012. When The Blackhouse first did the rounds of British publishers several years ago, the editors were unanimous about the quality of the writing, the atmospheric, how moving the story was, but they simply didn't believe they could sell it to a British audience. They felt it crossed boundaries between literature and crime - as if crime readers would somehow reject it. Thankfully the British reading public - now that they have finally been given the chance to read the books - have proved those editors wrong! The second thing is that when The Blackhouse was first presented to British Publishers, it was before the influx of Scandinavian writing. All that "Nordic Noir" has made it more acceptable for crime writers to move their stories at a more thoughtful pace, and to look in more detail at the lives of their investigators. In fact my publisher, Quercus, wasn't even in existence when The Blackhouse was first offered to editors in the UK. It's no surprise then that they - who published the Stieg Larsson Trilogy - were confident about finding an audience for The Lewis Trilogy. And finally, for all your eager readers, can you tell us what you're working on at the moment, your next release and your plans for the future? The next thing on the publishing schedule is a photo companion to The Lewis Trilogy. "Hebrides" consists of 200 beautiful photographs of the locations that feature in The Lewis Trilogy, taken by David Wilson, who lives on the Isle of Lewis. I've written a commentary to go with the pictures, together with a brief history of the islands and my personal history with the place and its people. Quercus have also obtained my backlist and have already brought the China Thrillers out on Kindle. These will also be coming out soon in paperback. And The Enzo Files which have only previously published in the USA will be out in the UK before the end of the year. My next new book will be out in January 2014. Although there will be no more Fin Macleod, there will be a return to Lewis. It takes place partly in the Hebrides and partly in Quebec. My plans for the future are to have a holiday!